Among the many reasons to get excited about and participate in developing the programmable world, Nokia particularly focused on how to improve people’s standard of living by solving every day problems, for example, as well as opening up new business models with huge economic potential. We all have different ideas about that potential, but I believe we can agree about the trends shaping the vertical markets already today with the Internet of Things (IoT). I recently read how these two main trends in manufacturing are driving a key transformation and will influence future competitiveness by leveraging the IoT, namely: the increasing role of services (also known as “servitization”) and the growing importance of global value chains. In both cases, connected objects and processes play a major role. And that’s just the beginning. Likewise, 5G mobile networks are expected to disrupt existing industries in ways we cannot even yet imagine. 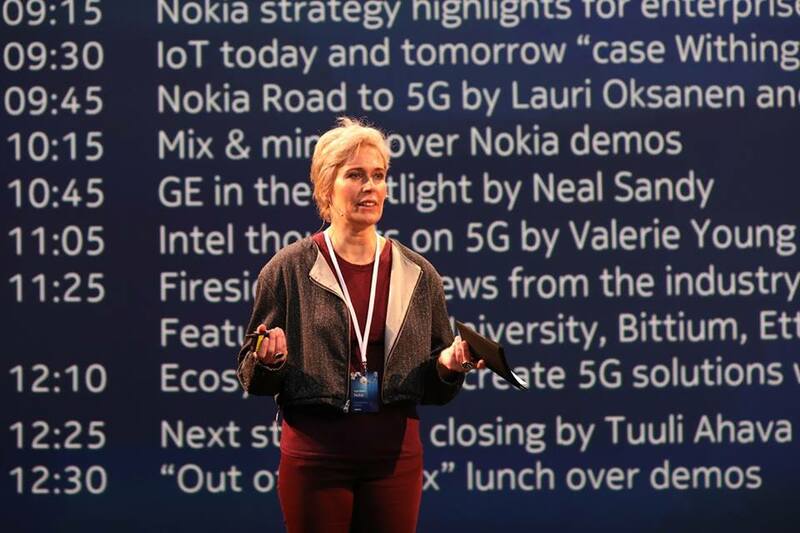 We have plenty of interesting expert views on this new technology like: The importance of early 5G activity – the analyst’s view, but what I wish to emphasize here is how intent Nokia is on driving the transition to 5G through timely partnerships and, particularly, across industries/verticals. 5G is envisioned to be far more than just a refined version of 4G. Its ambition is to cover all types of communications, and must therefore be very flexible to support completely new business models. In a 5G world, industries like energy, manufacturing, healthcare and automotive become the new playground, where unprecedented developments take place. These industries will push the limits of current telecommunication networks and look to 5G to enable new applications, markets and businesses. Identifying their requirements, spotting relevant industrial trends early and mapping them into the 5G design is a fundamental element for its success, and in fact, for the society as a whole. Our mandate has thus been to partner and engage with relevant actors, something we’ve been very vocal about lately. In Finland, for example, we decided to bring leading companies, universities and regulatory agencies together to brainstorm how we can jointly tap into the opportunities 5G has to offer in a 5G Enterprise Summit. Close to 100 local and international participants joined us at the end of November to discuss current challenges and opportunities that the latest telecommunication technologies can unlock already today in their respective industries, as well as what we can expect from 5G looking forward. We shared some real field deployments of campus networks for enterprises, where we’ve achieved enterprise-grade-levels of privacy by ensuring that all data stay local, close-to-zero latency, and high reliability. Through our latest LTE, small cells, Multi-Access Edge Computing and MulteFire technologies we can already enable use cases that are much closer to 5G performance in terms of latency and throughput. Beside the “out-of-the-box” networking session, the Nokia Innovation Platform was unveiled. This is a live development and trial environment and a new way to engage for actors within the IoT ecosystem to collaborate on solutions for the programmable world. Feedback on the Summit was overwhelmingly positive and many follow up actions have been agreed between the many participants…so expect more to come! Let’s explore what the most recent network technologies can offer your industry and contemplate new applications with 5G together. Connect with our sales team here.